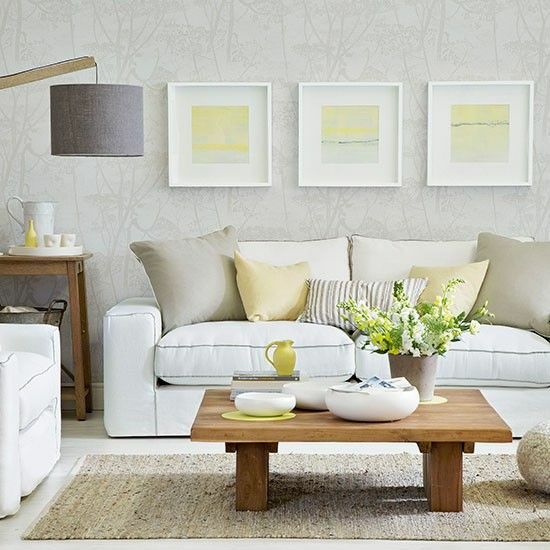 If, like most people, you don’t have a separate den, drawing room, entertainment area etc then the living space is likely to get a lot of traffic in the home. 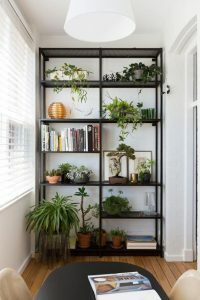 If you have been with us earlier you may have already read about the basic tenets of furniture arrangement and understanding your personal style, Now let’s look at what makes the space beautiful and your very own personal statement. 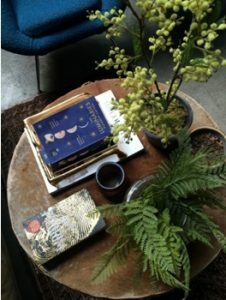 Zen and the art of clutter free living…. 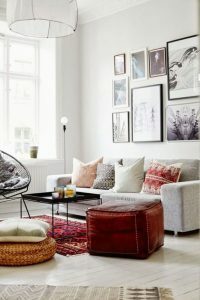 Choose a smaller sofa, place pieces away from your walls, use few accent pieces of repurposed furniture for a customized look .The perks?-easy on the eye and easy on maintenance ☺ A well designed room is not just what’s in it, but what’s not there. 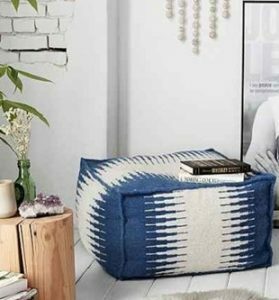 If you already have standard catalog furniture try to pair it with a repurposed wooden table, or perhaps add some colorful ethnic rugs, cushions and artwork. 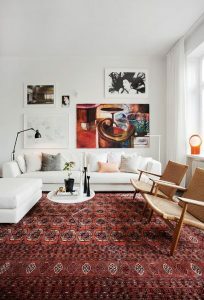 Mixing and matching pieces from different styles enable a multi-dimensional look. 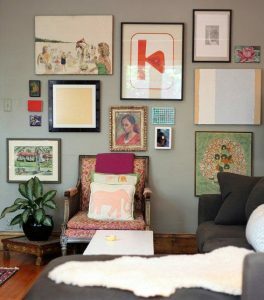 Ensure that the shapes, textures, colors and scales of all the pieces are carefully considered with each other and the space. 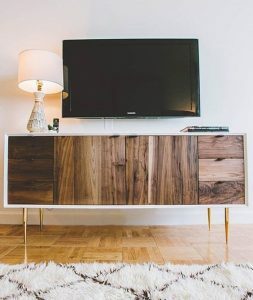 A high tech TV and multimedia unit are part of many living rooms and although TVs are difficult to plan around, you can integrate it into your living room design by using a sideboard instead of a readymade multimedia unit. 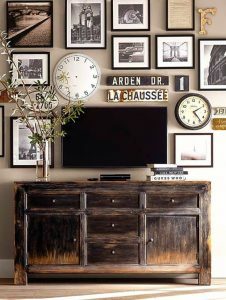 Even if you don’t have a TV in the living room a sideboard offers a lot of space on top for accents – or even a large mirror. 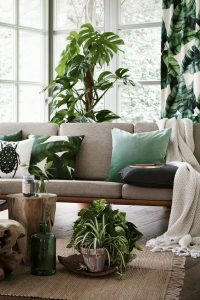 The growing options of online interior design, as well as accessibility of affordable assembly line furniture and decor, have led to many living rooms that look overly manufactured and cookie cutter images of each other. 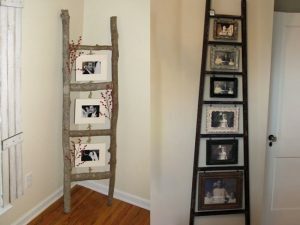 Any authentic living room decorating ideas should have some personal touch.If you have kids, then this is your moment to imprint their life into your home. 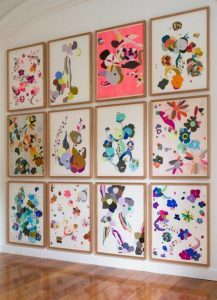 You can post up your children’s artwork or memorable family photos as a wall gallery..
Have a lifelong passion? 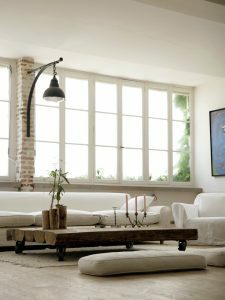 Why not make this clear in the design of your living room? 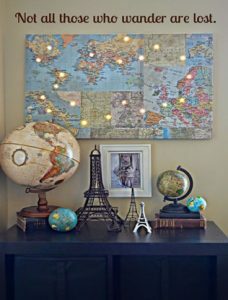 For example, if you love travel, fill your room with maps, guide books or a globe. 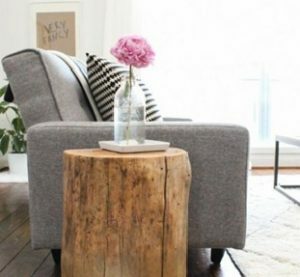 If your living room includes only the usual pieces of furniture and decor – coffee table, sofa, rug, and floor lamp addition of statement side tables and poufs can easily remedy your barren living room landscape. 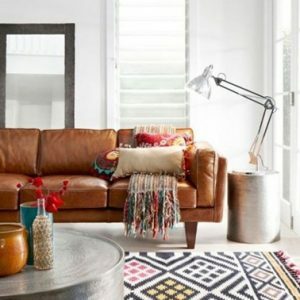 The great part is that poufs and side tables offer some of the widest variety of options to choose from. You can elect for an ethnic muda, organic tree stump, repurposed pinleg table, or more. 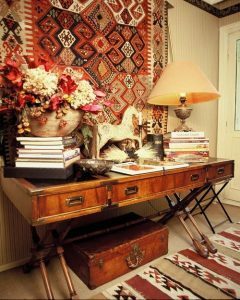 7.Put up a carpet or rug on the wall! 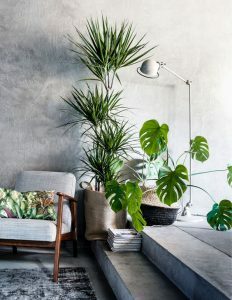 We have said this before and will continue to harp on this most important of décor elements When we light spaces we never want to over light them, as shadows create mystery and drama. 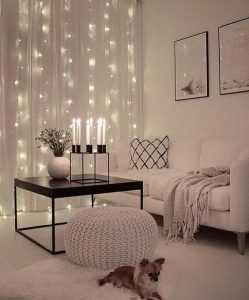 In order to achieve this effect, there are three categories of interior lighting you need to know about: ambient (or general), task, and accent. 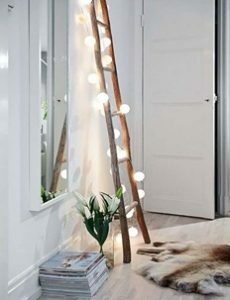 A successful lighting scheme requires a combo of all three. If you have pre-installed lamps on the ceiling as part of your apartment/house, chances are they are standard issue fittings. 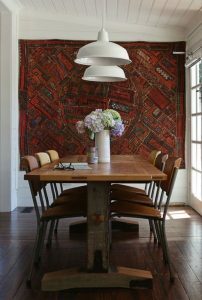 Replace them with your choice of ceiling lamps for a statement look that can complement your room. 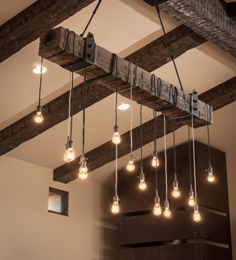 To creatively brighten your room, you can try something non-traditional, like strung exposed lights . 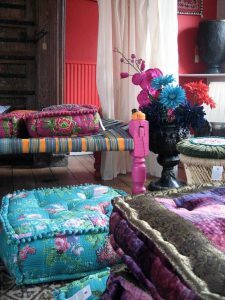 We are actually doing a complete feature on children’s rooms ,accessories and linen.Watch this space for more! !